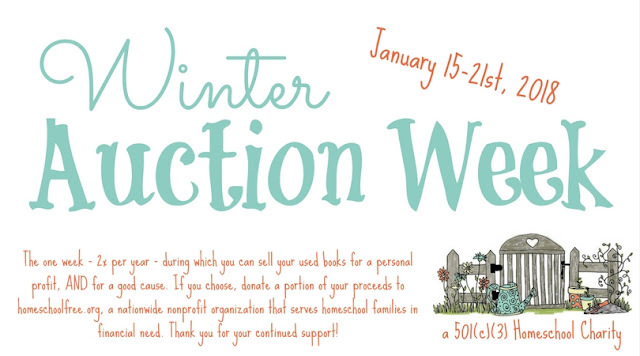 Winter Auction Week will officially be the week of Monday, January 15th through Sunday, January 21st. Any proceeds from the upcoming Winter Auction Week will go towards our funds for providing free or "free for shipping" curriculum for homeschool families in need or financial hardship. 100% of donations are used to benefit the homeschool families we serve. All persons involved in the running of this organization are still completely volunteering their time and talents, and do not receive payment for their work here. And, we are families just like those we serve - we don't have much money either, so we need your help to help others! So, GET READY! WINTER AUCTION WEEK is coming up soon! If everyone in the group (over 15,000 of us!) 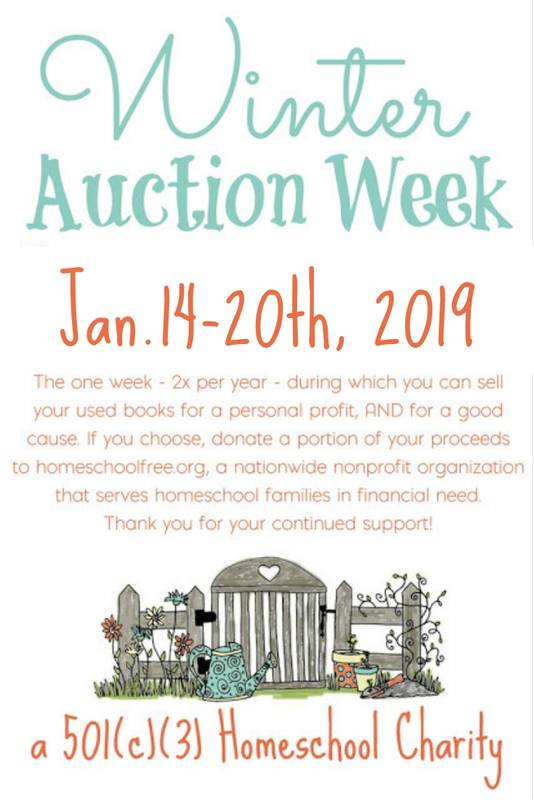 sold just one book during Auction Week and gave $2 - that would be a complete miracle, and we'd have an amazingly HUGE budget to use for sending out curriculum to needy families. But, not everyone will see this. So we hope that at least some of you will see it, participate, and give generously. We are always in need of cash donations. Thanks for helping us to help others! But as always, thanks for your donations of curriculum within the group! 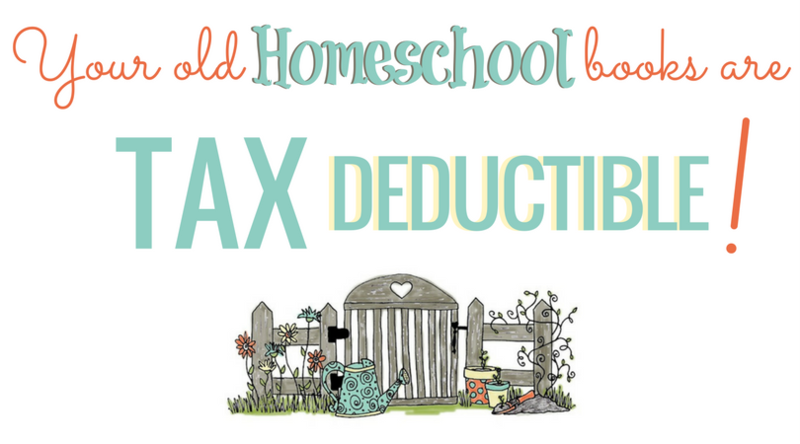 And did you know that your donations are tax deductible as well? They are! As always, thank you so much to all the generous families who are sharing curriculum every day within our Facebook group! We are so blessed to witness your kindness! YES - we WILL allow up to five (5) PRE-APPROVED vendors. First come, first served for each brand. You MUST be willing to donate 100% of your profits (after expenses) to HSCFFS to advertise your business within the group during auction week only. A "vendor table" spot requires a $10 donation and comes with a lot of perks. Priority is always given to previous vendors. You must be a veteran member in good standing. Comment within the Facebook group itself on the pinned post to put your name in by Friday, January 12th 9pm EST, and we will respond ASAP.